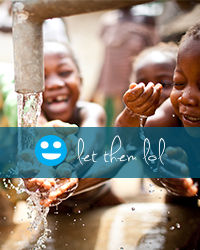 Let Them LOL celebrates kids changing the world with big hearts, big dreams, and big joy, ! What sparked the beginning of Let Them LOL’s story in 2009? Let’s remember together. How one village and one little girl tell a Let Them LOL story of hope & rescue – Part 2. How one village and one little girl tell a Let Them LOL story of hope & rescue.